Visit our #DailyCata tasting bar section of the shop where we always have vinos to catar. We also host weekend tastings, classes, and special events. Grand Cata's co-founders, Julio and Pedro, met in 2009 while working at a media development NGO in Washington, DC. Through their shared interests and passion for the wine, food, and culture of their respective Andean and Caribbean heritage, they became best friends and began developing the concept of their own business: a Latino wine company. Pedro was born in California and grew up in his native Puerto Rico. He moved to DC in 2007 and began a career in international media development after completing grad school in Barcelona, Spain. He quickly realized he had even bigger dreams of becoming an entrepreneur and working directly with what he loves: food, wine, people, and Latin American culture. Since Pedro began his wine career in 2010, he has earned multiple management positions in retail, simultaneously gaining valuable experience in the DC market while building the groundwork for his own business. Pedro is an advanced certified Wine and Spirits professional by the Wine and Spirit Education Trust (WSET). He is also a huge fan of Fútbol Club Barcelona ¡¡Visca el Barça!!. He can be reached directly at pedro@grandcata.com. Julio is a Chilean journalist who took his passion and curiosity out of the newsroom and into the world of wine. When he moved to DC in 2007, he worked a retail position to expand his palate and practice his English. During this period, he realized the opportunity to share the unique wine and gastronomic culture from his native region with the community. Now, after seven years of industry experience, including working as a wine broker and wholesaler, he is committed to making this vision a reality. His favorite wines and foods are the ones that transport him to the salty air and sea of his hometown Arica on the Pacific coast of the Atacama Desert. Julio is an advanced certified Wine and Spirits professional by the Wine and Spirit Education Trust (WSET). He can be reached directly at julio@grandcata.com. Cobertura en los medios de Grand Cata. You probably got the memo about DC’s exploding restaurant and bar scene. Hot on its tails is an increasing selection of quality wine shops. Grand Cata is at the forefront, offering a focused selection that started with only Latin-American-sourced wines, and has since expanded to include Old World regions. The space is bright, open, and immediately comforting. Forward-thinking, with easygoing service, Grand Cata is perfectly placed to serve a city starting to take wine very seriously. A shared interest in wine brought together Grand Cata’s co-founders, Julio Robledo and Pedro Rodríguez, who met in 2009 while working at a media-development nonprofit. 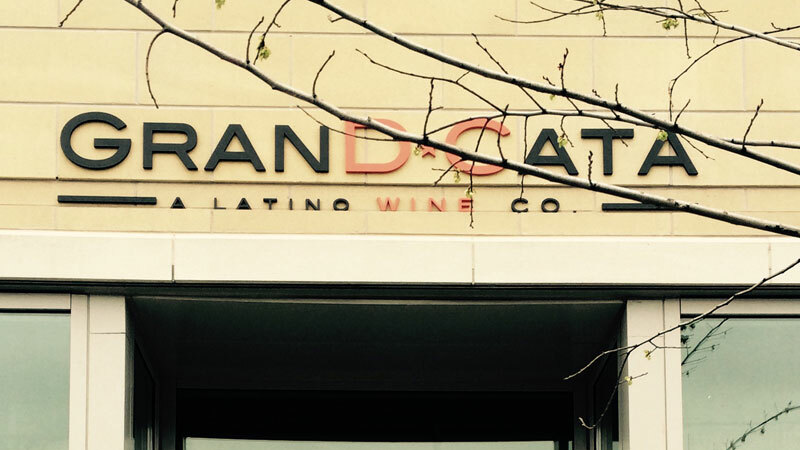 Eventually, the two laid the groundwork for a Latino-focused wine company in the middle of D.C., which ultimately became Grand Cata. The shop’s wines, beers and spirits represent the history and vibrant cultures of Central America, South America and the Caribbean. The selection of Chilean wines is impressive, and, unsurprisingly, it’s the best place in the city to search for that perfect Malbec.